Many people know Prometheus for our work building radio stations or fighting in Congress to expand low power radio. In this section, we share a lesser-known side of our struggle to free the airwaves: the world of regulatory policy. In other words, the rules. 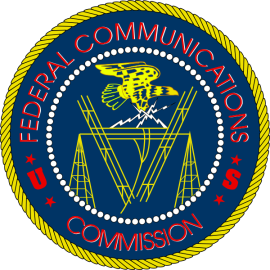 Rules about the airwaves (aka the radio spectrum) are set by the Federal Communications Commission (FCC), which is supposed to manage the radio spectrum as a public resource (just as other agencies manage other public resources, such as water or forests). The public can participate by commenting about proposed rules, or even proposing rules of our own. At Prometheus, we advocate for rules that allow greater access to the airwaves for those historically marginalized from media ownership. We think media should be controlled by communities, not corporations. We believe that communication is a fundamental right. Since so much communication relies on the radio spectrum (from radio to broadband to satellites), we see access to the spectrum as a right worth fighting for. You can learn about our key regulatory issues in the menu on the right, or read below for the latest updates on our regulatory work. The Federal Communications Commission (FCC) just took a major step forward in getting low power FM (LPFM) stations on the air! FCC Update: Low Power Window Announced at Last! Radio Controlled: A Media Activist's Guide to the FCC!